Going after firms is precisely what the Department of Justice has been doing in the aftermath of the financial crisis. This was nothing new. For some decades, prosecutors have preferred to go after companies rather than individuals, partly because of the alleged difficulties in prosecuting individuals, but also on the grounds that this was an attempt to change the “corporate culture” so as to prevent future crimes. The result has been “deferred prosecution agreements” and even “non-prosecution agreements” in which companies agree to undertake various reforms to prevent future wrongdoing. Such agreements became the mainstay of white-collar criminal law enforcement. There is little evidence that such an approach, including the imposition of heavy fines, does actually change the behaviour of companies. It did, however, bring in billions of dollars ($220 billion by March 2015) and kept government housing policy, which required Fannie Mae and Freddie Mac to buy ever-increasing proportions of subprime loans from the lenders, out of the picture in any cases brought against the lenders. In the aftermath of the financial crisis, the Department of Justice brought many high profile cases against leading banks, but these were settled out of court, as they resulted in the kind of negotiations which were roundly condemned by Judge Jed Rakoff. He described just going after the company as “both technically and morally suspect” since the prosecutors can only threaten to prosecute the company if there is sufficient evidence to prove beyond reasonable doubt that fraud has been committed, and, if that can be established then the managers concerned should be indicted. Such condemnation from a judge, from politicians and media led to a radical change of direction announced by the deputy Attorney General in her Memorandum on 9 September. Sally Quillian Yates announced that in the future, the Department of Justice will turn its attention to individual accountability, since one of the “most effective ways to combat corporate misconduct is by seeking accountability from the individuals who perpetrated the wrongdoing.” She argued that this “deters future illegal activity; it incentivizes changes in corporate behaviour, it ensures that the proper parties are held responsible for their actions, and it promotes the public’s confidence in our justice system.” Ben Bernanke’s remarks are certainly in line with the changing views about law enforcement. However, that is not the fundamental issue concerning the past. It would, of course, have been possible to bring criminal charges against senior executives if they could be shown to have been guilty of fraud as individuals, but the charges were always against the company. The real question is: if senior executives are to be held accountable, then the laws and regulations should be clear, and of course, in force at the time to ensure that administrative actions or prosecutions could take place. For Bernanke to say that some senior executives should be in prison implies that he considers that it was possible to do under the regulations or the laws in existence at the time, but that the regulatory authorities did not refer any case to the Department of Justice nor take the administrative actions open to them at the time or in the aftermath of the financial crisis. The fact that they did not do so implies that they had no case. Bernanke was in a position to ensure that regulations were in place so that senior executives could be called to account, but his speeches and the full minutes of the Federal Open Markets Committee indicate that he did not see the risks in the growth of the subprime market and weak regulation. Indeed, Bernanke seemed unaware of the extent of subprime lending and its impact on the economy or even on the banking sector. Even as late as May 2007, he stated, “we do not expect significant spill-overs from the subprime market to the rest of the economy or the financial system.” In June 2007, he announced a review of the rules governing lending practices and supervision. It was too little, too late. 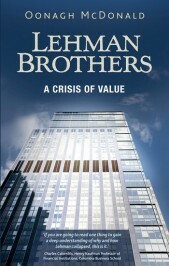 Looking back later, Bernanke admitted that “stronger regulation and supervision aimed at the problems with underwriting practices and risk management would have been more effective in containing the housing bubble.” The Big Five investment banks voluntarily agreed to be supervised by the SEC under a special, undemanding regulatory regime. Inadequate regulatory frameworks and an unwillingness to take action against individuals meant that senior executives would not, and often could not be taken to task for their alleged misdeeds. Featured image credit: “The corner of Wall Street and Broadway, showing the limestone facade of w:One Wall Street in the background” by Fletcher6. CC BY-SA 3.0 via Wikimedia Commons. Oonagh McDonald is an international financial regulatory expert. She was a member of the UK parliament for Thurrock in Essex from 1976-1987 and a member of the front-bench Treasury team from 1983-1987. She was awarded the CBE (Commander of the Most Excellent Order of the British Empire) in 1998, for services to financial regulation and business. She is the author of several books, including Fannie Mae and Freddie Mac: Turning the American Dream into a Nightmare (2012) and most recently, Lehman Brothers: A Crisis of Value.